Dan Hoffman is responsible for implementing our interdisciplinary Societies and Cultures Curriculum; teaching classes such as Democracy Now and Holocaust and Human Behavior. Growing up disengaged in his own education, Dan was inspired by adults who kept him on track to graduation and who got him motivated about his learning again. With their influence in mind, he has been working with youth in many capacities over the past decade. Starting in after-school programs in San Francisco, Calif., Dan became an outdoor adventure education trip leader with The Road Less Traveled, and high school program coordinator with the Beacon Center in San Francisco’s Excelsior District. He started classroom teaching as Eagle Rock’s Societies and Cultures Public Allies Fellow in 2009 before going on to work with youth in Durham, N.C., as a social studies teacher and curriculum specialist at Voyager Academy. Dan returned to Eagle Rock in 2014 as Literature and Literacy Instructional Specialist and Instructional Coach before moving into his current position. 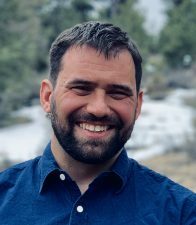 He earned his undergraduate degree at Occidental College in Los Angeles, his teaching license from Prescott College in Arizona, and his Principals License from the Principals Institute in Boulder Colorado. He and his wife, Catherine, along with their daughter Sienna also live and work on campus as Ponderosa House Parents.